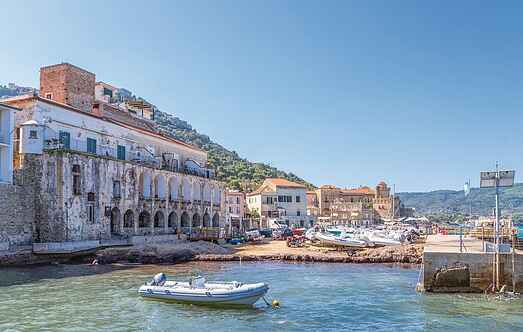 Find a vacation home to rent in Agropoli from our list of vacation rental properties. Campaya has over 10 vacation homes available in Agropoli, which give you the possibility to locate a unique accommodation in Agropoli which completes your check-list in search for the perfect self catering vacation apartments in Agropoli or vacation villas in Agropoli. Holiday apartment in a two-family house with shared pool overlooking the splendid gulf of Agropoli and the plain of Paestum. 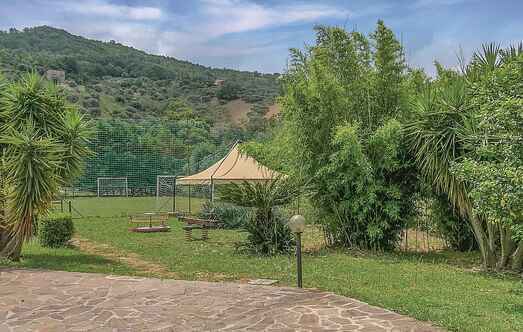 This spacious six bedroom holiday home is situated on the hill of S. Francesco in Agropoli, a small town on the outskirts of Cilento Vallo di Diano and Alburni National Park. This spaceful, pleasant and practically furnished holiday apartment is situated in the near of Agropoli, a charming small town in the Cilento area in the south Italian region Campania. Semi-detached house for holidays in Agropoli in the heart of the Cilento, not far away from the beaches (3 km) and Paestum (5 km). Shared pool with garden furniture and sun loungers. This charming holiday house only 3 km from the beach and from Agropoli. The property is located on a hills side, offering spectacular unobstructed views of the sea. Villa Martina is located in the shadow of the fantastic promontory of Trentova in Agropoli, in the heart of the wonderful Cilento.